The lines are usually out to the street any day of the week, but the raspas are totally worth the wait. If you like the ice big and crunchy, Las Nieves is a God-send. They’re not too heavy on syrup, letting you get the full flavor without coating your throat in sticky-sweet. Get a scoop of ice cream in your traditional raspa if you like that sweeter taste, and take advantage of the picnic tables to truly enjoy your treat. 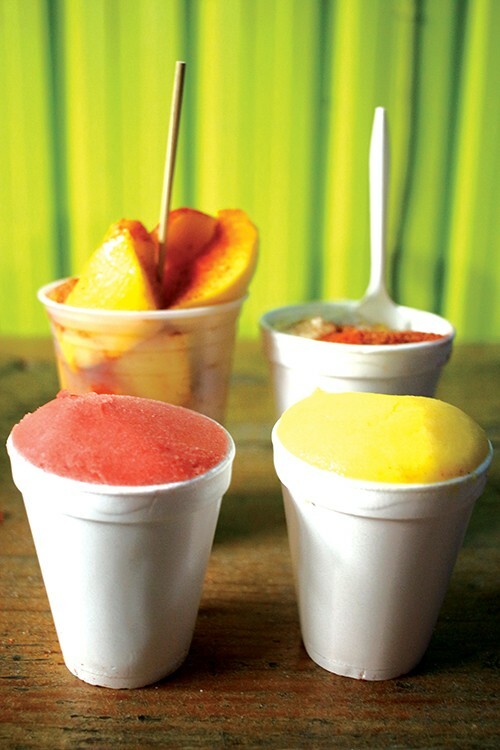 Indulge in one of the nieves, or Italian shaved ice, that literally changed the cold snack game here in San Antonio. The menu offers plenty of options for whatever taste you’re in the mood for – sweet, sour, or spicy. We’re sure you’ll get one (at least) of each every time you visit. No judgements here as long as the stop always includes a raspa.